As California’s first premium winery, Buena Vista Winery presents "Purple Gold." Founded in 1857, we have harnessed more than 160 years of winemaking vision for this exclusive Cabernet Sauvignon. Inspired by Agoston Haraszthy, the self-proclaimed Count of Buena Vista trained many young winemakers that would go on to establish some of Napa Valley's most acclaimed historical wineries. This unique wine celebrates and honors his indelible presence within wine country. Just as we know today, the Count understood that great wine comes not only from great grapes but also from great terroir – that magical combination of all the attributes of a particular site required to create remarkable wines. Buena Vista Winery has returned to its roots in Napa Valley to craft this enchantingly bold wine with fine-grained tannins and elegant structure – "Purple Gold" at its finest. Brian Maloney was born on his family’s historic ranch in the Petaluma Gap straddling the Marin and Sonoma County border. Inspired by his grandmother’s stories of her father’s struggles growing grapes and making wine in the Calistoga area before, during and after Prohibition, he enrolled in the world-famous Viticulture and Enology program at the University of California, Davis. Following graduation he worked the harvest of 2003 at DeLoach Vineyards and has remained there ever since, playing a key role in elevating the winery’s Pinot Noir pedigree, expanding its vineyard-designate program, and planting and establishing its Biodynamic estate vineyard. 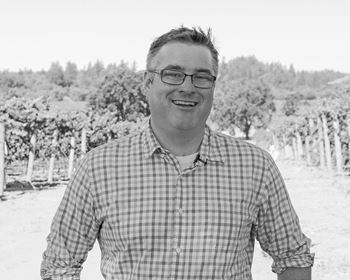 Starting in 2011, Brian has expanded his responsibilities to include overseeing the rebirth of the legendary Buena Vista Winery in Sonoma. In 2012, his team was the first to make wine in the historic Champagne cellars in over 30 years, a celebration that was punctuated by the joining of Tokaji and Sonoma as Sister Cities on the first day of harvest for the reopened cellars. With generations of farming and winemaking in his background, Brian has always taken to letting the terroir show first. Whether with cool climate Pinot Noir or mountain top Cabernet, his ultimate goal is to let the interaction between the site, the vine and the grower shine through to set the style of the wines.